Affirming its place as one of the country’s largest and most profitable private universal banks, Rizal Commercial Banking Corporation (RCBC), for the second year running, was named as the Philippines’ Best Banking Group by World Finance during its annual Banking Awards. 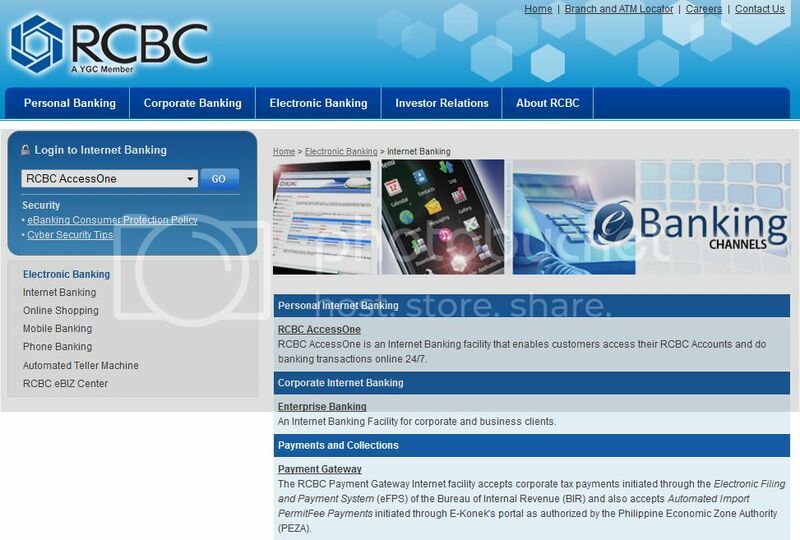 The bank also takes pride of the RCBC Payment Gateway Internet facility that accepts corporate tax payments initiated through the Electronic Filing and Payment System (eFPS) of the Bureau of Internal Revenue (BIR) and also accepts Automated Import PermitFee Payments initiated through E-Konek’s portal as authorized by the Philippine Economic Zone Authority (PEZA). To thank all its loyal customers and partners, RCBC has launched an online promotion where participants can win special prizes. Clink HERE to join.